General Release Notes from the October 26th 2015 update. Implemented the ability to have multiple patient charts open at once. To open another patient, search for a patient and select them as usual. They will open to the right of the currently open patient. To close a patient chart, click Close Patient. With this change comes a change to encounters. You can now minimize an encounter and continue working on any screen in TRAKnet. NOTE: With this change, it will be very important to remember to close encounters and patient charts appropriately as working to minimize confusion. Implemented a new feature that allows the user to look up a referring provider and pull in all demographic information about the provider. This is located under Properties > Referring/Supervising Providers > Search NPI Registry. Implemented the ability to CTRL + Click on SmartSheet10 codes to add multiple codes to a SmartSheet or multiple codes to an invoice. 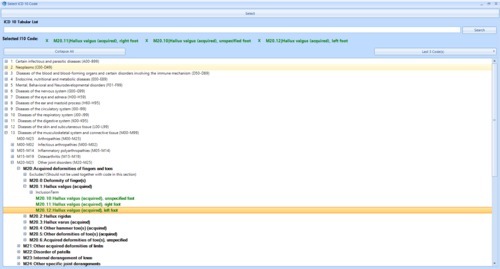 Any screen where ICD-10 codes can be selected will have this functionality. To deselect a code, simply click the X next to the code at the top of the screen. Implemented a new feature where the title of an encounter will always update to match the Note Date on the encounter, e.g. 10/22/2015 Hallux Valgus. Resolved an issue wherein 2.0 encounters would be displaying out of chronological order. Resolved an issue wherein mini-templates saved into a folder with an apostrophe in the name could then not be selected for use. Resolved an issue wherein the Vital Signs link was incorrectly displaying a “0.000000” in some instances. Resolved an issue wherein the folder name for a template could not be changed when importing TRAKnet 2.0 templates into 3.0. Resolved an issue wherein the encounter title was not being displayed when attempting to link an order or vital signs to an encounter. Resolved an issue wherein referral letters were not printing the visit note with the letter. Resolved an issue wherein the links to the patient portal in TRAKnet were incorrect. Resolved an issue wherein changing the name of a Phone Message was removing the message from the Phone Messages tab. Resolved an issue wherein the «FutureAppointments» link was not displaying facility visits. Resolved an issue wherein the User Activity Report was not displaying anything if the Date Created filter was used. 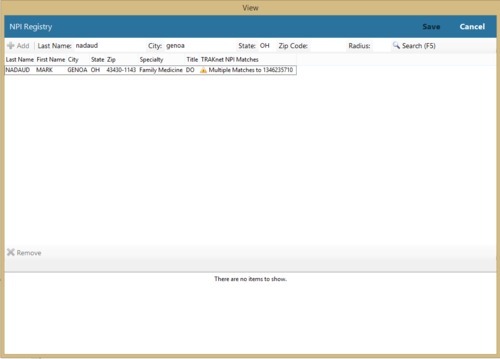 Resolved an issue wherein deleted SmartSheets were still displaying when adding a new code to a SmartSheet. Resolved an issue wherein certain ICD-10 codes which apostrophes in the description were duplicating the apostrophes unnecessarily. Resolved an issue wherein pop-up alerts could not be marked finished. Resolved an issue wherein it was possible to set the global period on a treatment to a negative number, causing that treatment to become un-editable. Resolved an issue wherein the «TodaysDate» link was not inserting properly when importing and converting templates. Resolved an issue wherein Vital Signs were not displaying the appropriate unit of measure. Resolved an issue wherein text frames, when used in a template, caused the links inside the frame to stop populating. Resolved an issue wherein the encounters report was not printing ICD-10 codes. Resolved an issue wherein encounters were occasionally becoming unsigned if the patient’s information was edited while an encounter was opened. Resolved an issue wherein the patient education in a Clinical Summary was not automatically pulling over Diagnoses based on the ICD-10 code. Resolved an issue wherein blocked days could not be saved if the Reason selected was the first in the list of reasons. Resolved an issue wherein clicking “close” on the blocked days window would not actually close the window. Resolved an issue wherein the increments for a new appointment type were not automatically matching the scheduler’s intervals. Resolved an issue wherein the print button on the Claims screen would become grayed out. Resolved an issue wherein it was not possible to add a value to a custom field that contained an apostrophe. Resolved an issue wherein the scheduler would jump back up to midnight on some circumstances. Resolved an issue wherein auto-setting of patient treatment pointers/diagnoses would not work properly with non-dual coded diagnoses. Resolved an issue wherein the meaningful use report displayed the incorrect email address. Resolved an issue wherein the Edit > Paste function in an encounter was not working properly. Resolved an issue wherein newly added facilities were not automatically appearing on the scheduler. Resolved an issue wherein the Superbill button on the patient’s chart would not work if the patient had no encounters. Resolved an issue wherein page numbers on the bottom of encounters were not tracking properly. Resolved an issue wherein tabbing into a single choice field was not opening to the right of the screen. Removed the time stamp on the bottom of encounters. Resolved an issue wherein using the copy visit tool, then changing the date on an encounter, did not update the title or the date on the treatments. Resolved an issue wherein the «PastAppointments» link was not including facility visits. Resolved an issue wherein the History portion of the invoice screen was not displaying the ICD-10 codes. Resolved an issue wherein the diagnoses screen was incorrectly allowing free-typed codes. Resolved an issue wherein sorting the Time Clock Management screen then printing the list did not maintain the sorting. Removed an unnecessary “close” button from the multimedia screen. 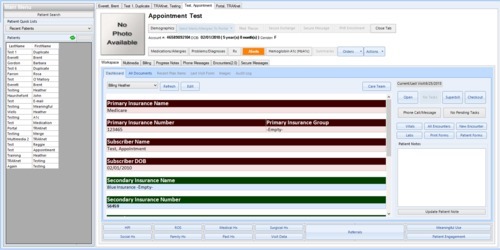 Resolved an issue wherein adding to the Care Team screen on a patient’s chart was adding information to all patients. Resolved an issue wherein clicking the “edit” checkbox on a mini template screen (e.g. HPI) caused TRAKnet to freeze. Resolved an issue wherein the «Age» link was not updating appropriately if a visit was copied and the patient’s age had changed between then and now. Resolved an issue wherein the “Go to Patient’s Chart” button on the Claims screen had stopped working. Resolved an issue wherein Global Periods were checking only the code in a global period, not all codes. The alert will now pop up any time a code is added to the patient’s invoice if the patient has any code in a global period, behaving like TRAKnet 2.0. Resolved an issue wherein the «VisitProblems» link was updating after a note has been signed. Resolved an issue wherein the Login with Different User option was not tracking the Punch-In option properly, not allowing the user to Punch Out afterward. Resolved an issue wherein Alerts were not sorting properly by date and were instead sorting numerically. Resolved an issue wherein the templates in Patient Forms were not listed alphabetically. Resolved an issue wherein the option under Tools > Option to set the supervising provider was not properly setting this information. Resolved an issue wherein the «RecentLabs» link was not pulling over any information. This will now pull over the data under Lab Orders. Resolved an issue wherein Exported SmartSheets did not have the correct codes listed. Resolved an issue wherein the Inbox would not load if a large number of items were in the inbox. The inbox now has pages.